FBI tweet: Martin Shkreli Wu-Tang album not seized. 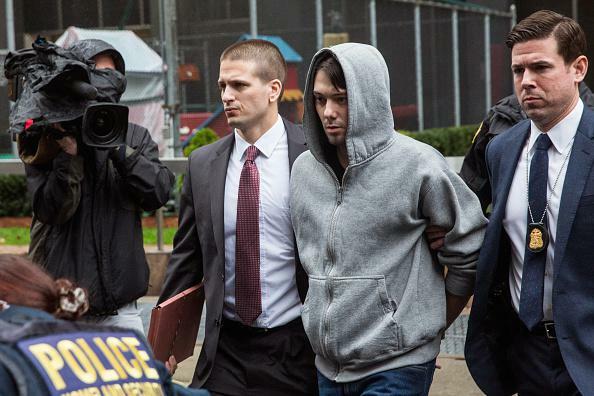 Martin Shkreli outside a federal building after being arrested in New York on Dec. 17, 2015. In the most 2015-esque news of 2015, the FBI just tweeted that it did not seize the single-copy Wu-Tang Clan album Once Upon a Time in Shaolin when it arrested “pharma bro” Martin Shkreli on securities fraud charges earlier Thursday. Please pause before continuing to consider how little of that sentence would have been comprehensible to your grandparents. OK. Let’s review what happened here. 1. Youthful pharmaceutical executive and Wolf of Wall Street–type-guy Martin Shkreli became infamous for price-gouging AIDS patients. 2. The Wu-Tang Clan decided as a kind of artistic statement to make only a single copy of its album Once Upon a Time in Shaolin, which was sold this year in a secret auction. 3. Bloomberg Businesweek reported just over a week ago that the buyer of the album had been none other than Shkreli. 4. The FBI arrested Shkreli on charges related to his previous company, a firm called Retrophin. 5. Lots of people wondered via their own social media accounts whether Shkreli’s arrest had involved seizing his assets, namely Once Upon a Time in Shaolin. And that’s how the FBI came to send a tweet about not having a Wu-Tang album.